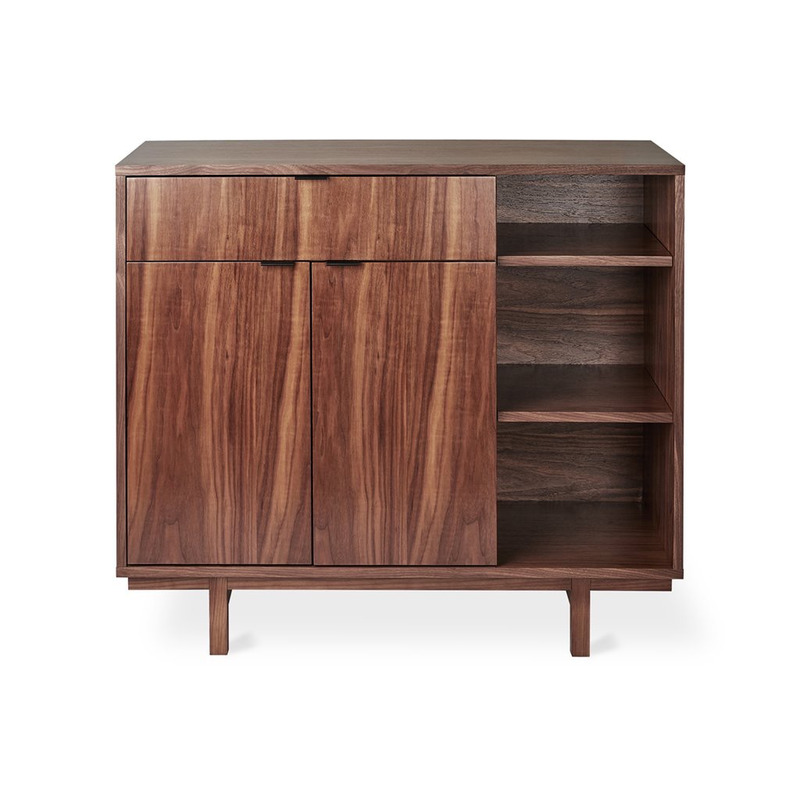 W42 D18 H36 in The Belmont Cabinet is an architecturally inspired storage design that features the natural beauty of walnut. Doors and top drawer feature contrasting pulls in a black finish. 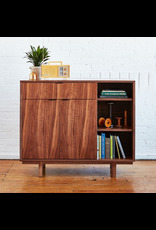 Two interior compartments provide concealed storage and each has an adjustable shelf. An open storage area with adjustable shelves provides additional space for essential items or decorative display and allows this design to maximize functionality in a smaller and taller footprint. 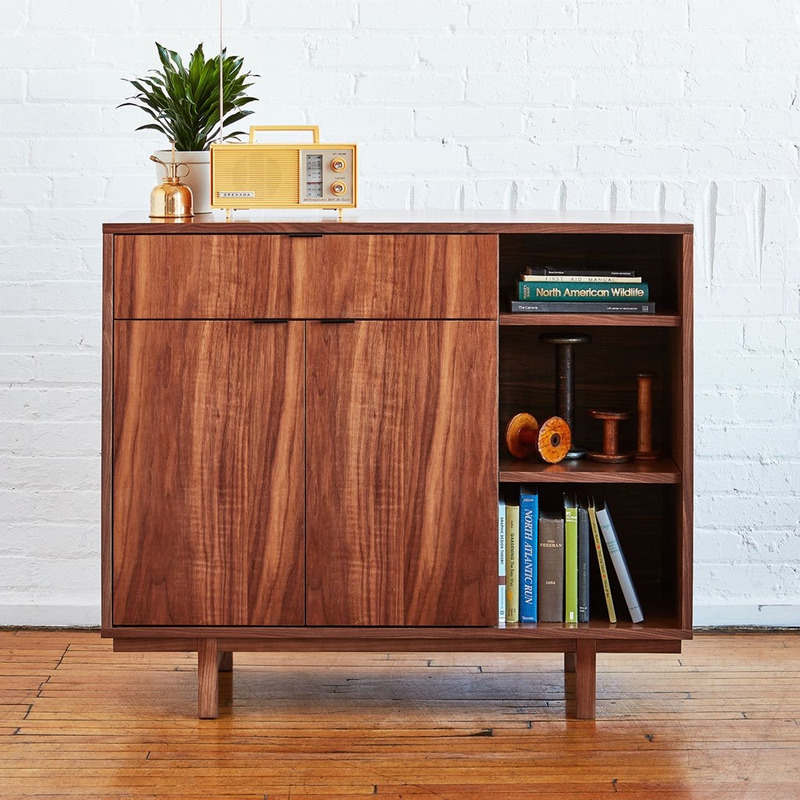 Part of the Belmont Storage Series, this small-scale cabinet matches perfectly with the Belmont Credenza, End Table and Media Stand. Anti-tip hardware is provided. Features 1 drawer and 2 doors with black metal pulls. 2 interior compartments have adjustable shelves for efficient storage. Open storage area has 2 adjustable shelves. Clear coat finish. 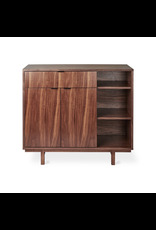 Recessed wood base is solid ash with a walnut finish. Plastic bumpers on all legs to protect hardwood floors.